“Arjen Schat | Spectrum” is out now and available on vinyl + digital + stream! After months of preparation, the first Trésor D’argent release is out now! Besides digital and stream, “Spectrum” by Arjen Schat is released on 140g black vinyl, and is limited to 300 copies worldwide. Direct orders through Trésor D’argent include a free download of the album. € 14,00 per copy. Price excludes VAT (if applicable) and shipping. 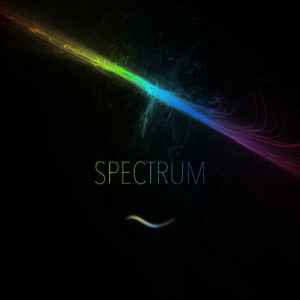 “Spectrum” is a contemporary continuation of the Berlin-school of electronic music. Though the essence of the style revolves around analogue synthesizers propagating melodic sequences, the sequences on this album are constantly evolving using an array of complex sequencing methods. Also available on Spotify, iTunes, Apple Music, Google Play, Amazon, Deezer, and Microsoft Groove. Tresordargent.com is home of Trésor D’argent, a record label run by Arjen Schat and Rik de Voogd. Our aim is to release the creative output of Arjen on vinyl , adding collectors value with each release by keeping the copies low and adding specialties in the form of printed art. Arjen’s sonic identity can be described as sequential ambient music, characterized by its emphasis on complex polyrhythmic sequencing and extensive use of analog synthesizers. The name “Trésor D’argent” is French for “silver treasure” , it originates from Arjen Schat: Arjen in French sounds like “argent“, which means “silver“. Schat is Dutch for “trésor“, meaning “treasure“. With over 100 releases, appearances, remixes and collaborations on almost every imaginable form of media, Arjen Schat has been active in the field of electronic music under numerous monikers since the late 90s. The music released under his birth name came to life in 2006 when he started to build his studio and made extensive use of analog synthesizers. Inspired by Klaus Schulze’s “Linzer Stahlsinfonie” and Tangerine Dream’s “Live At Coventry Cathedral” (and especially by Christopher Franke’s live sequencing), Arjen has been tailoring the Berlin-school sound to his own unique sonic identity. Besides recording and performing, Arjen teaches synthesis and audio engineering, and also maintains a YouTube channel publishing music and demonstration videos. With his motivation and energy, Rik is the driving force behind Trésor D’argent. Leaning on a broad taste in music, he has over twelve years of experience in performing as a DJ, and has been expanding his knowledge in analogue production techniques as well. As a former IT consultant working on large marketing projects for major international accounts, Rik has a keen eye for combining technology, creativity, and skill. Some perfect characteristics for running a record label. For any questions regarding bookings, sales, distribution, or press, please send us an email.